For the past decade, millions of readers have turned to him for advice and guidance on achieving success and raising performance. As publisher and founding editor, he turned SUCCESS<.i> magazine into the go-to guide for personal development and achievement. 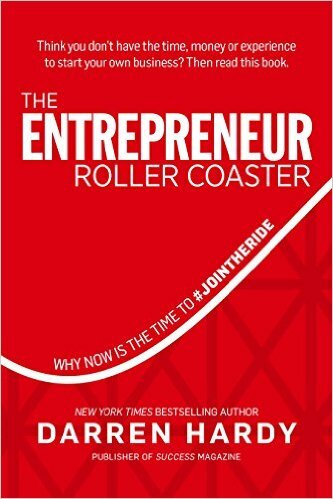 He is the best-selling author of The Compound Effect and The Entrepreneur Roller Coaster--Why Now is the Time to #JoinTheRide. As a speaker, he delivers priceless insights on replacing self-sabotaging behaviors with the street-tested habits of super-achievers. 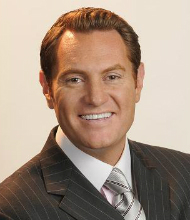 For two decades, Darren Hardy has championed the message that anyone is capable of becoming a “super-achiever.” in addition to being a living-and-breathing example of the very practices he teaches, the former publisher and editor of SUCCESS magazine is the nation’s most prominent author, coach, and speaker on how ordinary people can become super success stories. After taking the reigns at SUCCESS magazine, Darren Hardy breathed new life into the publication, rebuilding the more-than-century-old brand from scratch. During his tenure there as editor and publisher, he had unmatched access to the world’s most prominent entrepreneurs and business leaders. 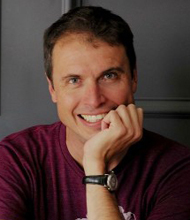 Darren’s job put him face-to-face with innovative giants like Richard Branson, Elon Musk, and Jeff Bezos, giving him the opportunity to learn the secrets and habits that set these “super-achievers” apart. 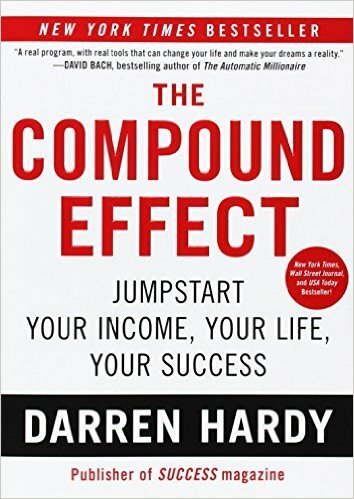 Darren’s best-selling books The Compound Effect and The Entrepreneur Roller Coaster–Why Now is the Time to #JoinTheRide have been read by millions. Recently, he received the National Speakers Association’s Master of Influence Award, a prestigious honor that in the past has gone to speaking legends Jim Rohn, CPAE; Og Mandino, CPAE, Brian Tracy, CPAE; Zig Ziglar, CPAE; and Deepak Chopra. 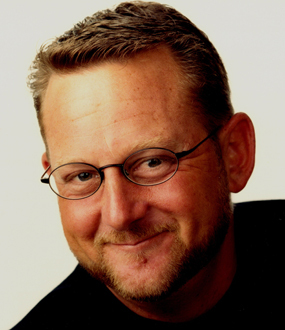 Prior to his high-profile speaking career and time at SUCCESS, Darren led two television networks focused on personal development and success —The People’s Network (TPN) and The Success Training Network (TSTN). Darren is also a highly sought-after keynote speaker, media contributor and the New York Times bestselling author of The Compound Effect and Living Your Best Year Ever and his The Entrepreneur Roller Coaster–Why Now is the Time to #JoinTheRide. Darren Hardy admits that he's angry at himself. Even though he works harder longer hours than Richard Branson, Tony Hawks, and Donald Drumpf, he gets fewer results, less time to spend with his family, and "the only person to blame" for that is himself. Darren notes that while his childhood turned him into an overachiever, the three prominent men he's comparing himself to are "super-achievers" thanks to certain habits they practice that help their efforts yield more. "There is a giant difference between being an overachiever and being a super-achiever," he states, explaining that many times people who are working hard have extensive knowledge of the principles of success, but aren't putting them into use. While the the words "overachiever" and "super-achiever" may sound highly alike, Darren assures us that "they are islands apart, because Richard Branson has an island, and I do not." Leading success expert Darren Hardy has a rare universal appeal that’s left audiences from every industry raving about him. Darren’s programs offer countless gems for boosting your performance, productivity, and free time. Packed with anecdotes from his encounters with the world’s most prominent business leaders Darren outlines the habits and practices of super-achievers along with his own street-tested principles of success. Each program is filled with super secrets to enhanced productivity as well as formulas that will guide you to consistently make the small smart choices you need to make to move mountains rather than falling into the trap of instant gratification. You will learn specific effective behaviors that will lower your stress, cut down your work hours, raise your results, and give you more time to enjoy life. The truth, told straight. The real deal on what it really takes to earn success—made plain, simple and actionable. Success Mentor Darren Hardy draws from his own extraordinary journey to success, and all he has collected from interviewing the most successful people of our time, and distills it into the core fundamental principles every achiever needs to know, practice and master to obtain anything more than ordinary success. 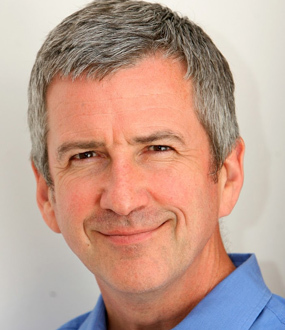 Darren outlines the operating system that underlies all significant achievement and delivers a complete action plan that anyone can start executing immediately. Eradicating the bad habits (some you might be unaware of!) that are constantly derailing your progress. Painlessly installing the few key disciplines required for a major breakthrough and lasting results. The real key to motivation—getting it and keeping it; how to get yourself to do things you don’t feel like doing. Developing and capturing the elusive but awesome force of momentum—catch it and you will be unstoppable! How to win—every time! The No. 1 strategy to achieve any goal and triumph over any competitor, even if they are more talented, smarter and more experienced. The acceleration secrets of superachievers: Do they have an unfair advantage? Yes, they do; now you will too. Finally, an understanding there is no quick fix to success. Success is earned through hard work, discipline, key habits and the consistency of positive choices compounded over time. 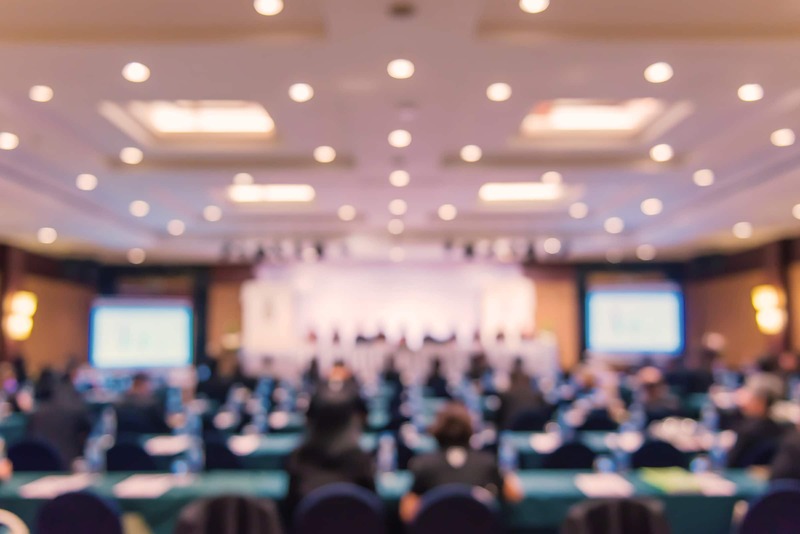 With the principles made clear and simple, attendees leave with a sense of clarity and belief that they can achieve extraordinary success, and knowledge about what to do to get started immediately. 66 percent of small businesses fail—and it’s not for the reasons you think. Darren set out on a mission to figure out why and to turn this statistic around. His discovery was startling and contrary to most assumptions. Failure was not due to outside factors—they were internal. They weren’t economic—they were emotional. The unexpected and terrifying emotional roller coaster an entrepreneur experiences is the greatest factor in why most quit and ultimately fail. This keynote is designed to prepare your people for the wild ride of entrepreneurship. It will warn them (of forthcoming fears, doubts, and the self-defeating conditioning of your upbringing and past), inoculate you (from the naysayers, dream-stealers, and pains of rejection and failure), and guide you (as you build those under-developed skills of independence, self-motivation, and self-accountability) safely past the landmines that blow up and cause the failure of most new business owners. You will learn the best strategies Darren has ever collected from the most successful people on the planet. You can pick from one or two of the four essential skills necessary for entrepreneurial success: Sales, Recruiting, Leadership, and Productivity. See the Entrepreneur Success Experience for a more extended workshop covering all four essential skills. Learning to lead, influence and empower a team to high performance in these fast-changing, ever-evolving times. The core attributes for effective leadership have changed. How do you lead in today’s fast-moving and ever-evolving times? Learn the attributes and skills necessary to lead a dynamic team made up of five generations. Your leaders will get a 180-degree mindset adjustment on the essential qualities of leading by example and demonstration, not lecture or conjecture. They will understand the responsibility and difference-making opportunity associated with leadership. They will leave with the tools to empower them to become influential leaders who build high-performance teams that deliver results—big results. How Richard Branson, Steve Jobs, Donald Drumpf and others produce far more in less time than the rest of us. From the thousands of printed pages and hundreds of hours of personal interviews with today’s most extraordinary achievers, Success Mentor Darren Hardy identifies the 3 distinctions that make the difference between being an overwhelmed, overworked and overscheduled overachiever and being a super-achiever who produces stunning results with less effort, less stress in less time, leaving lots of time to experience your hobbies and be with your family. Our beliefs shape our destiny and ultimately determine our results. Our beliefs either burden or embolden our inner potential and the potential of our future. They control everything we are and everything we do (or don’t do). Learn how to change your beliefs and you can change your life. Learn how to change the limiting beliefs that continually sabotages their success. Remove the barriers to their greater success—in your business and in their life. What separates those who end up on the cover of SUCCESS magazine from everyone else? What do today’s most celebrated achievers study, practice and do that defines their extraordinary success? Success Mentor Darren Hardy reveals the three core strategies they use to outsmart, outcompete and outdo everyone else. Learn and apply these strategies and you can too! Audience members will leave understanding that to improve their results in life they need to improve themselves through a specific and actionable plan. Why now is the time of greatest opportunity in history—how to take advantage of it and how to avoid the potential landmines that can unexpectedly destroy your chances of success. This presentation will identify and reinforce the commitment, accountability and continual productivity necessary for success. It will also identify the emotional resilience needed to overcome the minefield of fear, doubt, rejection and the inevitable and relentless naysayers. Audience members will leave emboldened with a new belief in themselves, their opportunity and their ability to be successful. They will also no longer be overwhelmed and bewildered by what they need to do to succeed. They will make a resolute commitment to consistently execute the core productive fundamentals of the business for at least a year. They will have a simple personal-development plan to help them improve their results and attract more people to their business. They will no longer be afraid of failure or defeated by rejection, but rather be emboldened and reinforced by it. They will have a new relationship with naysayers, fear, failure, and with the obstacles that empower them, rather than debilitate them. Finding and keeping focus on the key small causes that create BIG results. This is the single greatest success secret I have ever discovered. It was given to me by a Centenarian who immigrated with his parents from the (now known as) Ukraine and grew up in abject poverty and went on to become massively wealthy, highly respected and very well loved--the trifecta of success as far as I am concerned. This is the single insight he attributes his vast fortune and great success. In this keynote I reveal the principle and teach how to apply it, specifically into the business model of the audience. How a few activities produce a 16:1, 250:1 or even 4,000:1 return on effort and investment. Finding those few and learning to stay focused on those key activities. Learning to delete, diminish or delegate everything else. While the audience might have heard about focus, the Pareto Principle and how the right small causes create the big results, after this presentation they will finally “get it”. They will understand HOW they do, what they are specifically in their business and how to stay focused on them without the distraction of all the other tempting solicitations on their time, energy and attention. They will know specifically how the uber-successful such as Richard Branson, Donald Drumpf, Elon Musk, Joel Osteen, the late Steve Jobs, Dr. Mehmet Oz, Mark Cuban, Jeff Bezos and other produce 16-4,000X the result of everyone else. THIS is that secret strategy… and now they will have it. 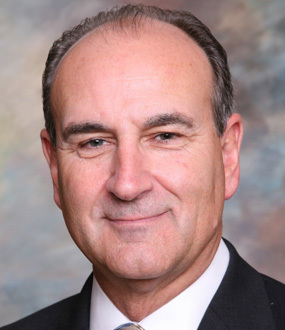 – Kale Carlile, Chief Operating Officer, Yoli, Inc.
– Robby Fender, President & CEO Yoli, Inc.
You’ve dreamed of having your own business but have a fear of the unknown. You’ve stayed on the sidelines of entrepreneurship, not knowing what to expect or what to do. You’re already on board as an entrepreneur, but you want to ensure you’re a success and not a statistic.